Scholars, therefore, speak of the "New Exodus" imagery in this passage. Every valley shall be filled in,every mountain and hill shall be made low;the rugged land shall be made a plain,the rough country, a broad valley. We should also underscore who it is who is coming to Israel to bring this deliverance. We might expect such a passage to announce the coming of the Messiah. Yet no human figure is mentioned. Here the deliverer is none other than God himself: Here is your God! Here comes with power the Lord GOD. All of this is described in terms of "glad tidings"--"good news", i.e., "Gospel" ("Gospel", of course, means "good news")! Yes, the Gospel is announced in Isaiah. As we shall see in the Gospel reading, Mark 1 seems to highlight this fact. To sum up: the main theme of the First Reading is the hope of the New Exodus, in which God will come to save his people and bring the righteous their reward. The lectionary readings have us reflect on how this hope was fulfilled in ministry of Jesus but also how it awaits a final realization at the end of time. The message of this psalm obviously coheres well with the First Reading. As we saw, the former is announcing the hope of the New Exodus. Such imagery is reinforced here with a psalm praying for God to bring salvation and bring his benefits. Notice also the way the psalm anticipates the coming of the Lord: Justice shall walk before him, and prepare the way of his steps. As should be clear, this psalm can be applied to both the first coming of Christ--in which he inaugurates the age of salvation--and the final consumption of history, when God's final victory over evil will be realized. The psalm seems to be used in the lectionary with both applications in view--looking backwards and to the future. Do not ignore this one fact, beloved,that with the Lord one day is like a thousand yearsand a thousand years like one day.The Lord does not delay his promise, as some regard “delay,”but he is patient with you,not wishing that any should perishbut that all should come to repentance.But the day of the Lord will come like a thief,and then the heavens will pass away with a mighty roarand the elements will be dissolved by fire,and the earth and everything done on it will be found out. Since everything is to be dissolved in this way,what sort of persons ought you to be,conducting yourselves in holiness and devotion,waiting for and hastening the coming of the day of God,because of which the heavens will be dissolved in flamesand the elements melted by fire.But according to his promisewe await new heavens and a new earthin which righteousness dwells.Therefore, beloved, since you await these things,be eager to be found without spot or blemish before him, at peace. This section of 2 Peter appears to be written to a warning to Christians who were concerned that the coming of Christ had not occurred soon enough. Had the Lord "delayed" in fulfilling his promise? The author warns his readers against drawing such a conclusion. He assures us that the Second Coming will take place--but Christians must be patient and not insist that the Lord work on their timetable. In fact, 2 Peter explains, the Lord has chosen not to come yet, in part, to show his mercy: he is patient with you, not wishing that any should perish. . .
Make no mistake about it, 2 Peter is clear that this world will come to an end; there will be a "new heavens and a new earth". Christians, however, must await that day patiently, remaining faithful so that they can be found "without spot or blemish". 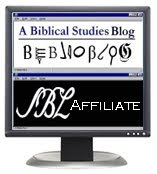 The latter language is cultic language--sacrificial animals are to be "without blemish". Perhaps the author is suggesting that Christians, by enduring suffering, make themselves sacrifices to the Lord (cf. Rom. 12:1). "The beginning of the gospel of Jesus Christ, the Son of God. 2 As it is written in Isaiah the prophet, 'Behold, I send my messenger before thy face, who shall prepare thy way; 3 the voice of one crying in the wilderness: Prepare the way of the Lord, make his paths straight. . . " (Mark 1:1-3). The beginning of the gospel of Jesus Christ the Son of God as it is written in Isaiah the prophet. . . Moreover, Isaiah announced that it is God who is coming. Mark, therefore, seems to underscore that this hope is fulfilled in the coming of Christ. Indeed, John the Baptist's statement seems to further underscore the divinity of Jesus. John proclaims that the one coming after him--Jesus--will "baptize you with the Holy Spirit". In short, in Christ Mark announces the hopes for the future coming of God have been realized. How does John prepare for this coming? By announcing the need for repentance and through a baptismal ministry. 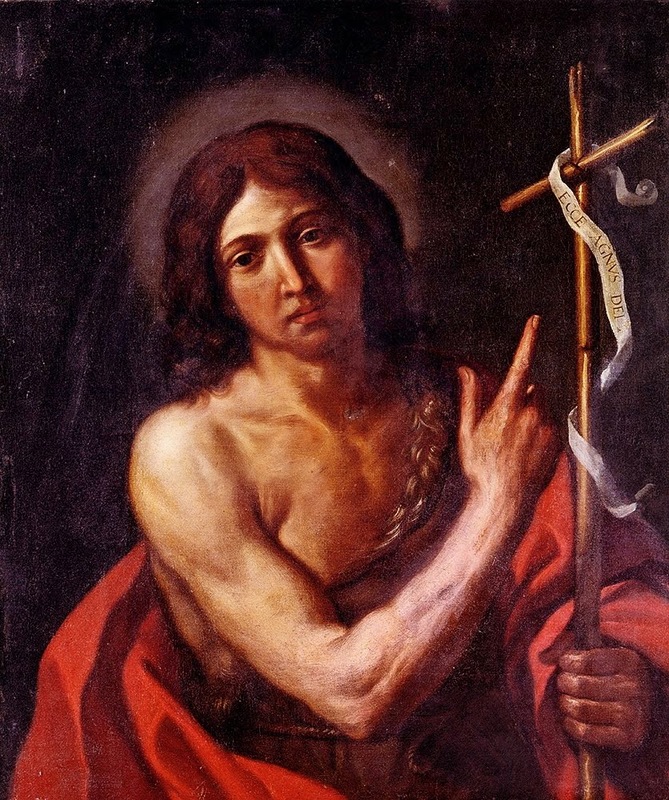 John the Baptist himself embodies a life of repentance, devoting himself to fasting (he eats only locusts and wild honey) and spiritual asceticism (he clothes himself in camel's hair). Why is this reading chosen for the second week of Advent? Christians are themselves to prepare for the future coming of the Lord. We must repent. The baptism of John foreshadows the the sacramental ministry of the Church, through which we are baptized with the Spirit and enabled to renounce sin in our lives. Finally, we must mention what is often called the "middle coming" of Christ--his coming to the Church in the eucharistic assembly. "Behold, I stand at the door and knock; if any one hears my voice and opens the door, I will come in to him and eat with him, and he with me" (Rev 3:20). Scholars such as David Aune have rightly seen here a eucharistic reference--what other meal could possibly be in view? The lectionary readings are inviting us to prepare to greet the Lord this Sunday, knowing that by making ourselves ready to greet him in the Lord's Supper we are also preparing for the day that will come "like a thief in the night". David E. Aune, Revelation (3 vols. ; Word Biblical Commentary 52; Dallas: Word, 1997), 189. "...I will come in to him and eat with him, and he with Me." Had never seen this in the Eucharistic light but it indeed speaks of it. Thanks for these insightful reflections. Now that we have entered into the Catechumenate stage of the RCIA process, I will be relying on these reflections heavily when I "break open the word" with our candidates during the Sunday Mass. Keep up the good work! These reflections are a goldmine.